A pot of boiling, steamy broth waiting to be flavored with various meats, vegetables, seafood and so many other things… that is the type of comfort food no tomato soup and grilled cheese could ever replace. Accompanied with a bowl of rice or noodles, you can taste your uniquely flavored soup at the final stage of the meal with a feeling of accomplishment; you made that broth, top chef! 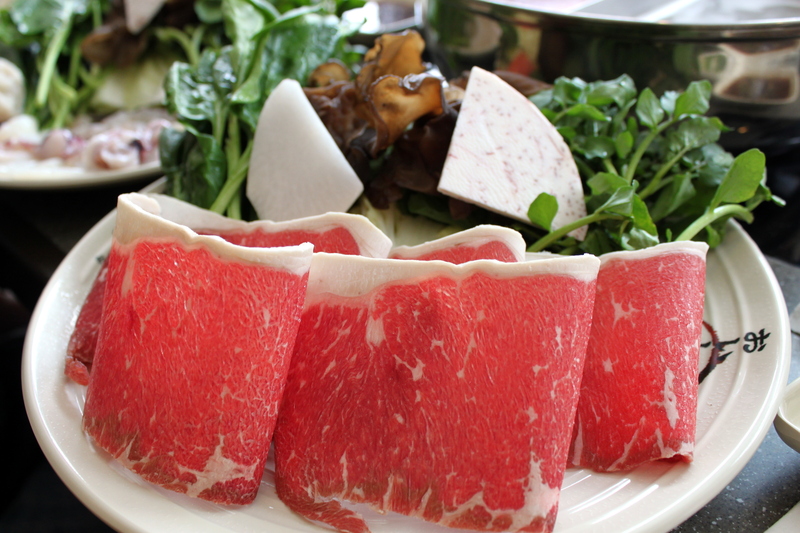 If you are a “hot pot” or “shabu” first timer, here’s a quick run down of what you’re missing out on. 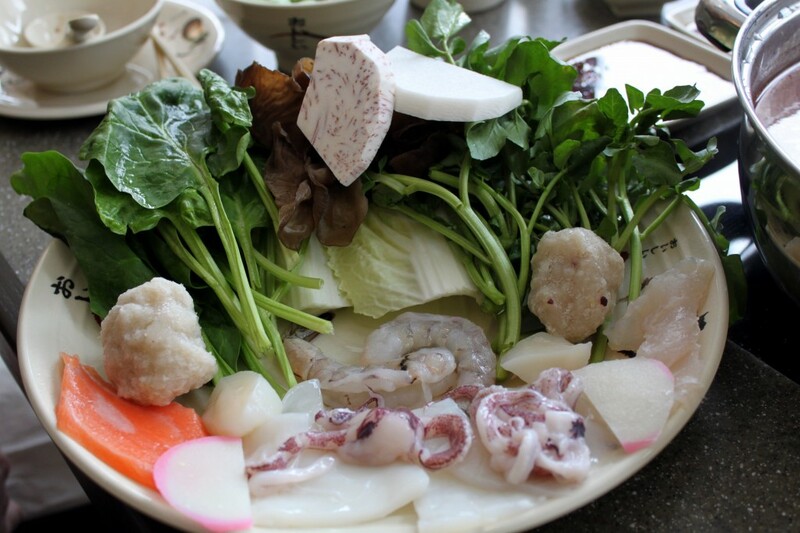 This style of cooking comes from either Mongolia or China (still unknown) where you have a pot of simmering water or stock and an assortment of raw vegetables, meats and seafood. 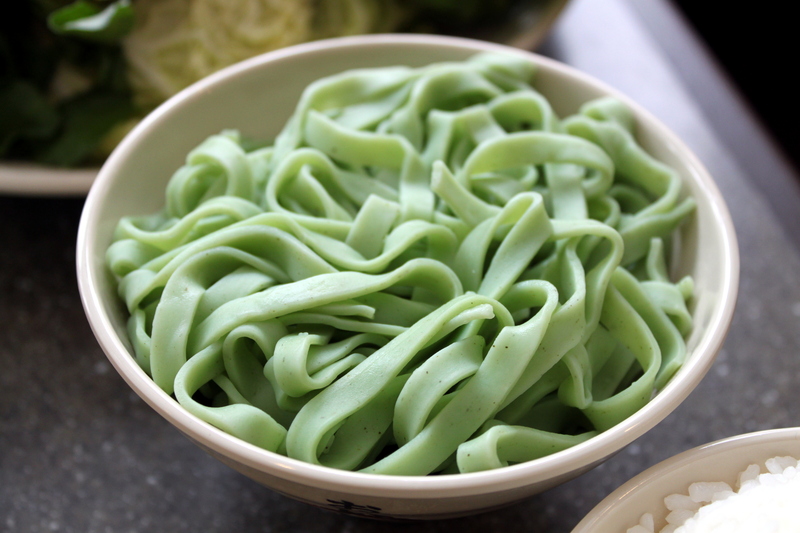 You cook them by dipping the foods in the hot water or broth and dab on some soy dipping sauce and other yummy condiments after; minced garlic, chilies, soybean paste, green scallions, and more. Life is all about enjoying simple pleasures, and there is nothing easier than dipping raw food in hot broth. Really! 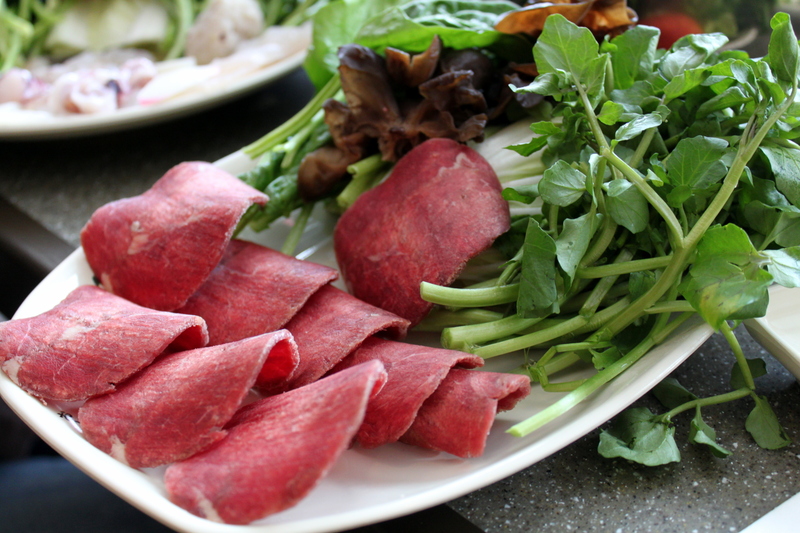 I went to Swish Shabu in Fenway for lunch with some lovely Yelpers: Nicole V. and Alex B. (They have some great recommendations if you’re looking for good eats) As always, they picked a fantastic place for lunch. Although I usually go to the buffets because it’s $20 per person, all-you-can-eat, the quality is mediocre and the quantity is the only thing it has going for it. Over time, I learned with the right amount of people and a couple orders of high quality ingredients, you pay the same price or less compared to a buffet. 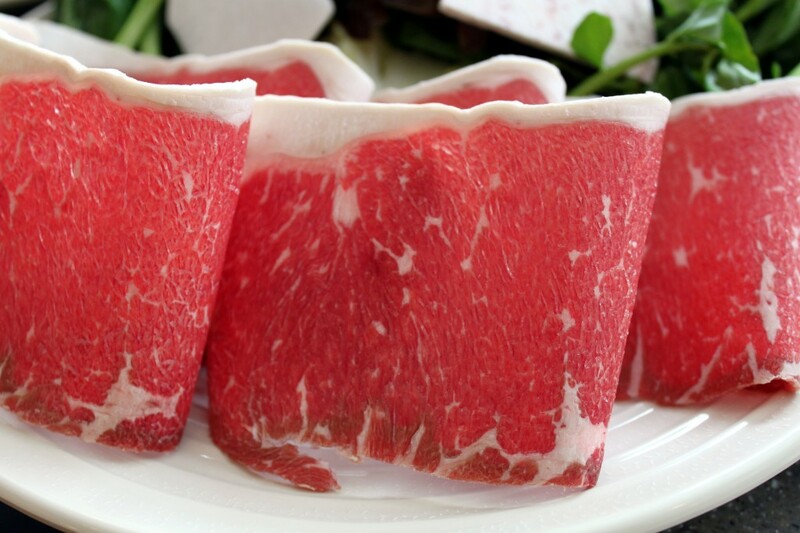 Vibrant and fresh greens, beautifully marbled red meat, and you know- other stuff, like ostrich meat and cow tongue. Can you do me a favor before you start to feel squeamish and freaked out though? Give it a shot. 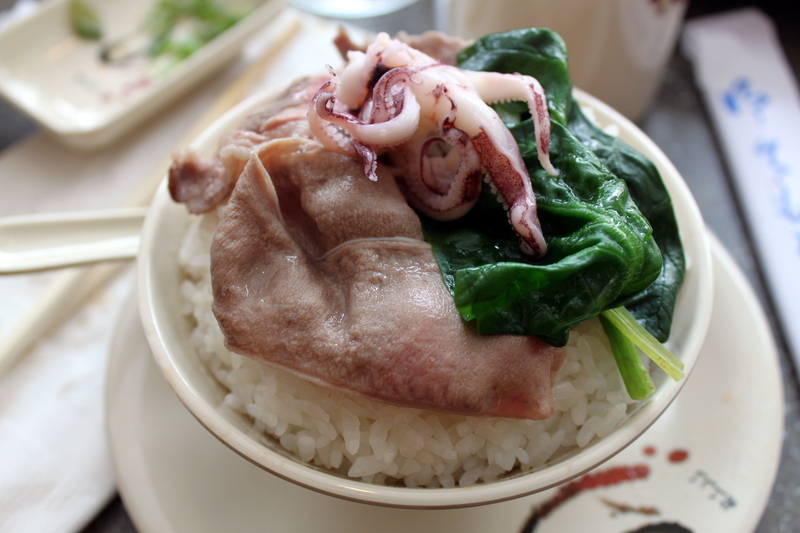 The cow tongue was one of my favorite plates and you won’t even think about feeling taste buds against yours at all. I’m sure that didn’t help, but that was for my personal amusement. Anyways, all the dishes were not portioned to fill you quickly, but sized in a great way that allows you to enjoy a variety of foods. 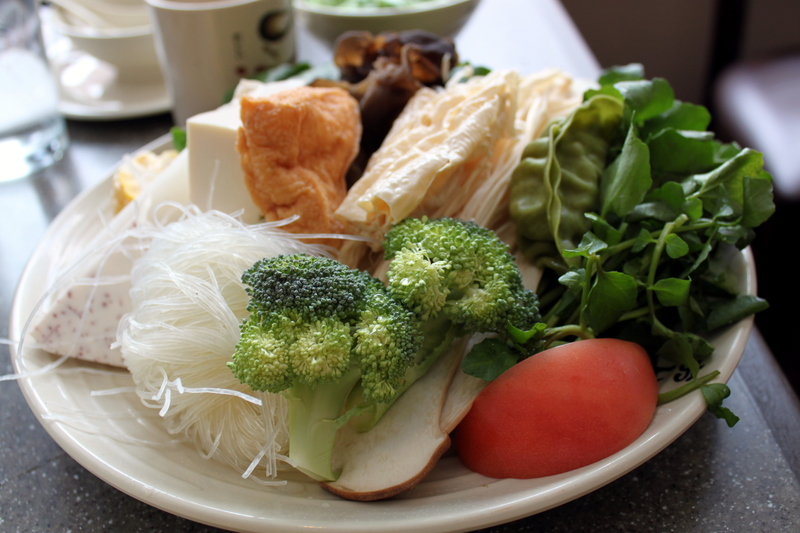 For us, we were very happy with every dish and the massive amount of vegetables accompanying them. As for the ostrich meat, it was delightfully game-y and incredibly lean. It’s always fun to try something new. 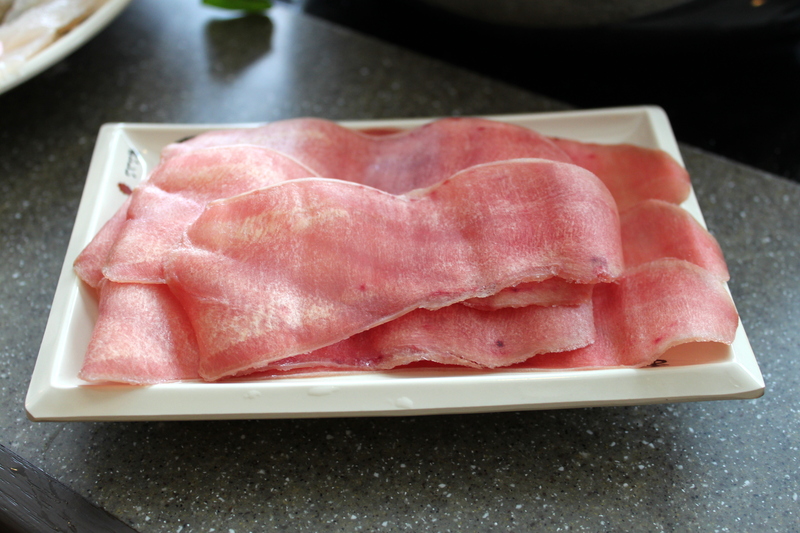 When I looked at each dish’s price, I was ready to spend some money- $20 for a beef plate? Eek! But no, not that bad at all. 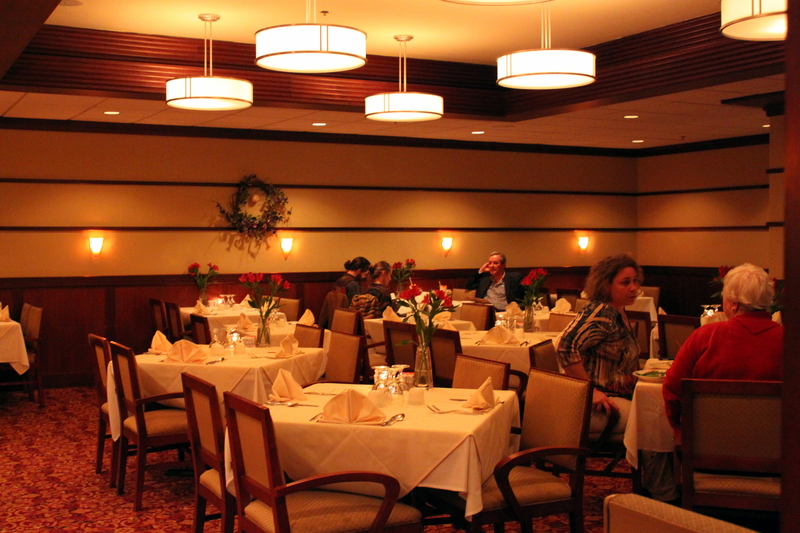 Somehow, our table of four was very content and completely satisfied, all with a $66 bill. Not too shabby! On top of the great food and surprisingly great price, our waitress was wonderful. She always had a smile on her face, filled our waters when they were half way through, and asked if we were enjoying our meal without being overbearing. 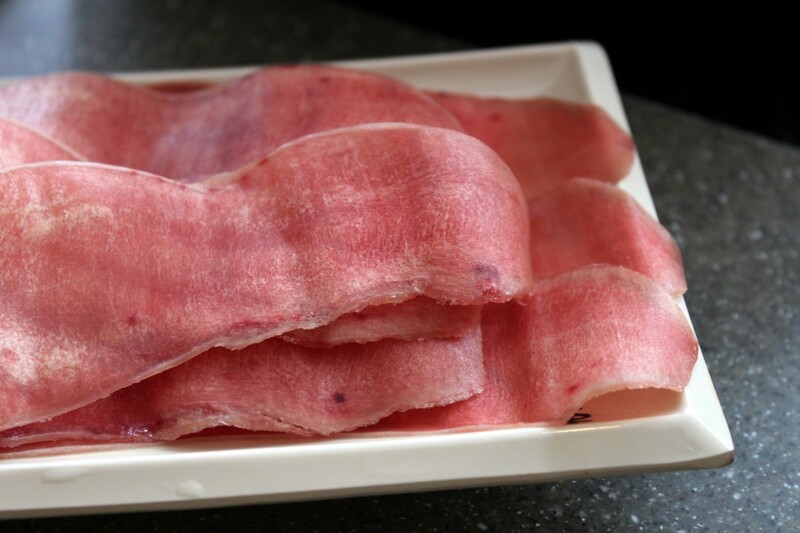 It seems like the staff at Swish Shabu are all sweet, friendly, and accommodating while being efficient. Perfect. All in all, I really enjoyed having hot pot here. Thanks to Nicole V. and Alex B., I now have another restaurant that I can happily recommend to others! 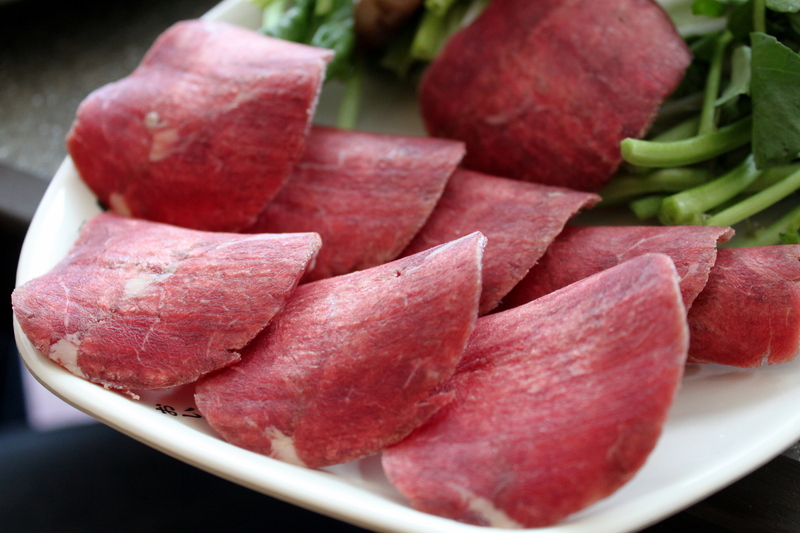 I double dare you to try beef tongue at Swish Shabu. 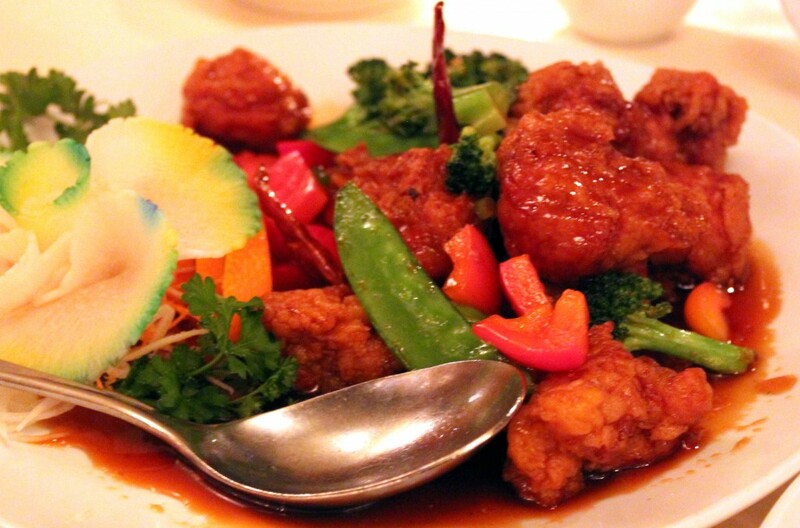 What’s the difference between China Sky and the typical Chinese restaurant in Chinatown? Here’s one: open space. Here’s another: it is contemporary while being comfortable. Although you can’t see it in the pictures, there is plenty of street parking so you don’t have to deal with pesky meters, Boston traffic or the road rage associated with it. Also, the service here is very inviting and attentive- your menus aren’t just carelessly plopped in front of you. But wait- there’s a catch! A street full of parking, no road rage, open spaced dining area… this may be too good to be true. And in this case, it kind of is. You pay for what you get. China Sky is an absolutely lovely place, but their food comes with a hefty price tag. Surprisingly the more expensive dishes are the dinner plates, as opposed to the sushi. Who knew! What’s a better appetizer than a fried appetizer? 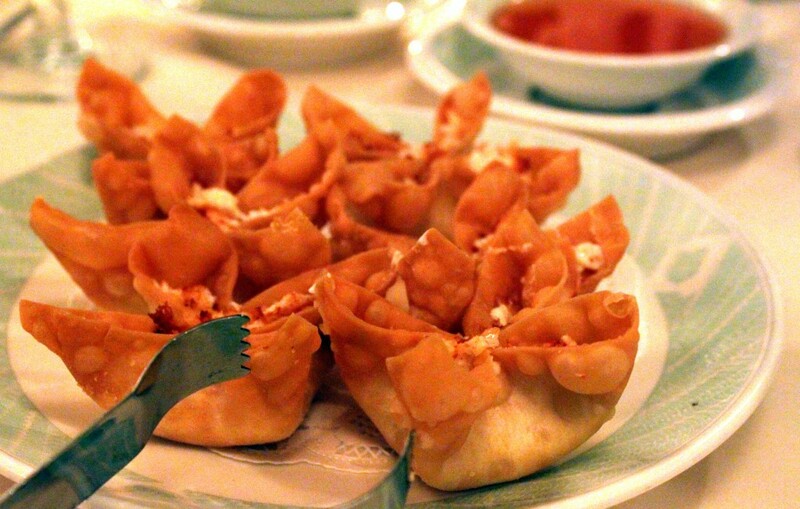 One of my fatty favorites is the crab rangoon; cream cheese, imitation crab, savory onions…perfect. The only way you can get this wrong is if the portions of filling are excruciatingly tiny or your cream cheese has already expired and spoiled. Unfortunately, portions were tiny and they were scantily filled. Oh, woe is my mouth and happy are my arteries. But here’s the good news- their sushi? Bomb. I’ve seen a couple of reviews for China Sky that say “all the dishes here are fantastic- but we will not be ordering the sushi next time.” I am a bit dumbfounded with this reoccurring statement. The sushi here is the best bang for your buck! They are generously portioned and they also do little things I appreciate, like for the Spicy Salmon Roll. Inside the roll is a large piece of salmon and the rest is the chopped, spicy salmon mixture, so you are really eating two different textures together in one. Simple, unique, scrumptious. I haven’t met a roll I didn’t like! The thing is… I feel absolutely terrible for saying that I did not fully enjoy my dinners here because I genuinely think China Sky is a wonderful staple to Winchester. I am just disappointed with how such popular Chinese dishes can be prepared so differently here. For example, the General Tso’s Chicken- a very, very popular dish everyone loves to order; sweet, tangy, crunchy, moist chicken- yum, right? Instead it was on the stale side and the chicken was dry and tough. For $10 at most Chinese restaurants, I was hoping $15 would get me at least the same quality or more. 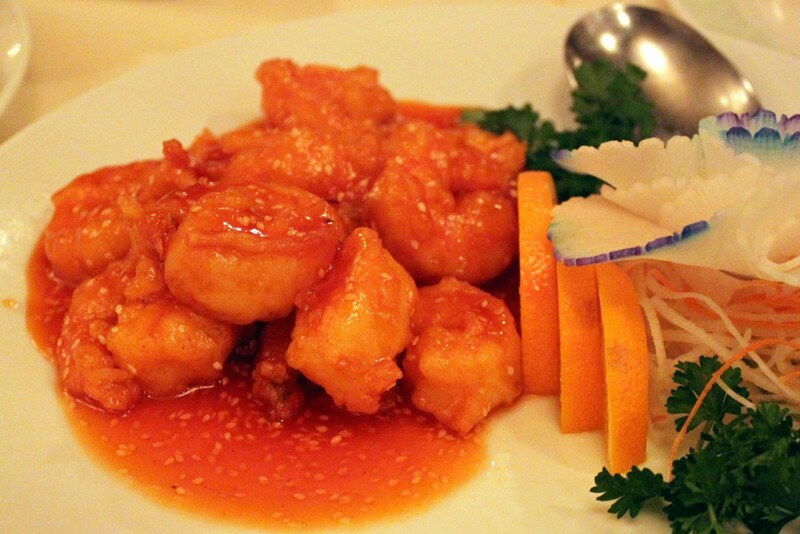 As for the shrimp, not bad at all. The shrimp itself was very fresh and the sauce accompanying it was perfectly light, there were no overpowering salty flavors to my surprise- but “crispy” in the Crispy Sesame Shrimp was missing. Once again, portions were on the small side and I will probably be ordering something else next time. 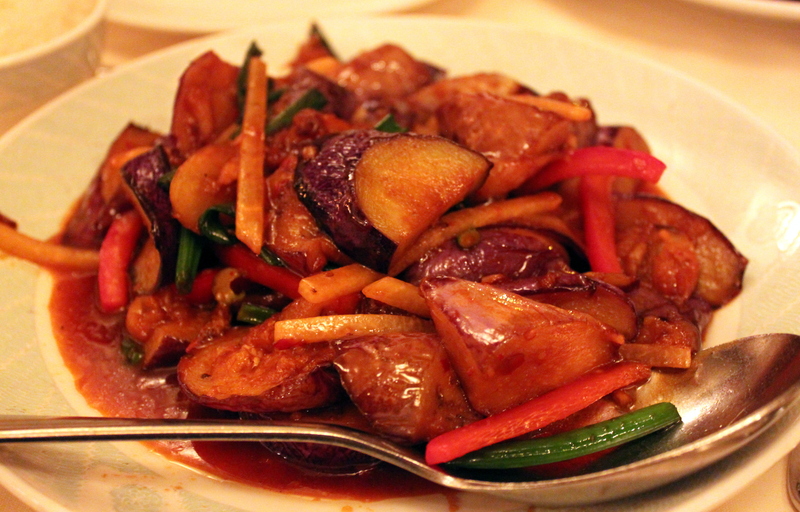 Lastly, the Eggplant and Garlic Sauce dish. Of the three plates we had, this one was my favorite. With a colorful assortment of fresh and crispy vegetables, the meaty eggplant and my rice bowl became the perfect couple that night. Be prepared to finish it when you take your first bite. Overall, maybe China Sky isn’t my favorite Chinese restaurant in the Boston area, but it is one of the better restaurants in Winchester. For the locals, it is a staple where you can hear old friends reunite over the buzz of cheerful conversations in the air. 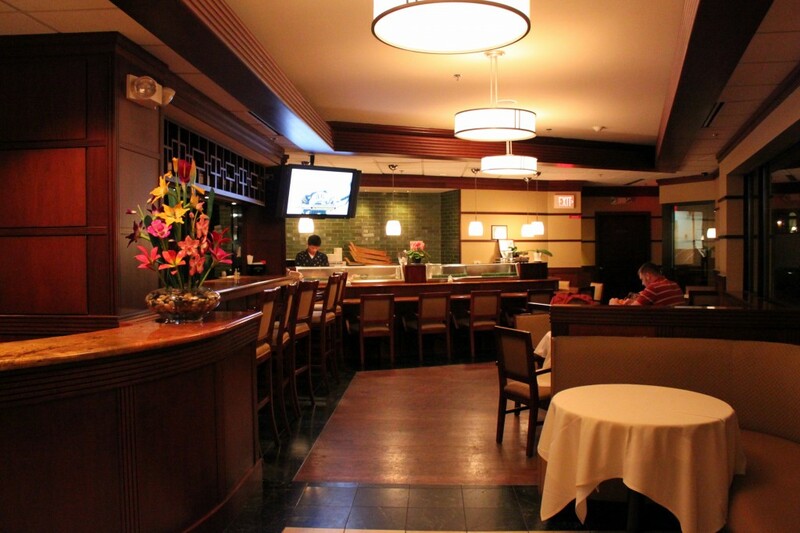 They are happy to see one another and dine in such a beautiful setting with friendly service. There’s something very “warm” about this place. If you are in the area, this may not be a bad place to have lunch or dinner, but above all, this is definitely the best sushi in Winchester. 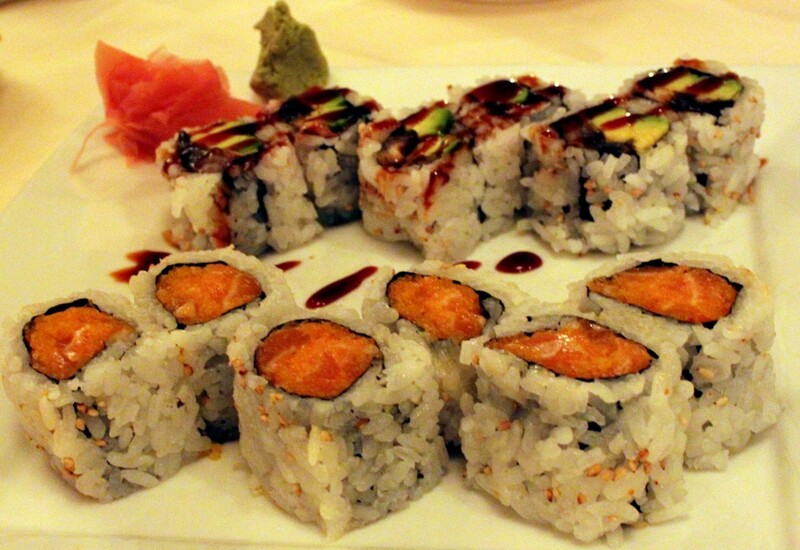 Looking forward to your delectable Spicy Salmon Roll, China Sky!